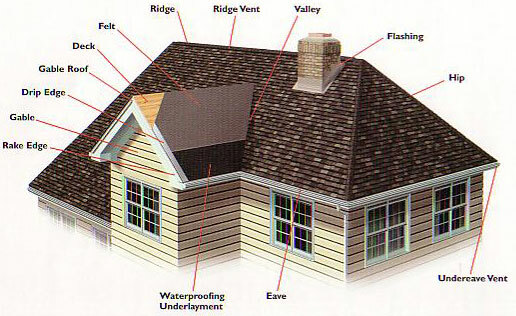 This is undoubtedly the most frequently asked question that all homeowners have when considering replacing a roof. The answer, however, is not a definitive one. The best way to determine how long it will take to replace a roof is to ask the roofing contractor when they are giving you an estimate. It is important to realize that not every estimate is written in stone. A roofer may estimate that a project may take two weeks to complete, but if there are conditions that arise that delay the work, it may take longer. Sometimes bad weather is a factor that can interfere with work, so it’s always advisable to be flexible in your expectations and plan for roof replacement when the weather is good. Roofers may discover that more work needs to be done than was originally included in the estimate. This may be due to structural damage that was revealed once they began the project. These types of circumstances could delay the replacement project as well. The best course of action is to discuss the length of the project with the roofer and to get several estimates before choosing the roofing contractors for the job. Compare the different lengths of time that each roofer provides. You should always feel comfortable with the time frame that the roofing contractor provides you with and make sure that you have enough time available to handle the project. If a roofer tells you that they believe it would take two days to complete the roofing project, and you have plans to leave town the second day of the project, you may want to reschedule. Give yourself plenty of time to complete the project in case there are emergencies, poor weather conditions or any additional work that must be completed.